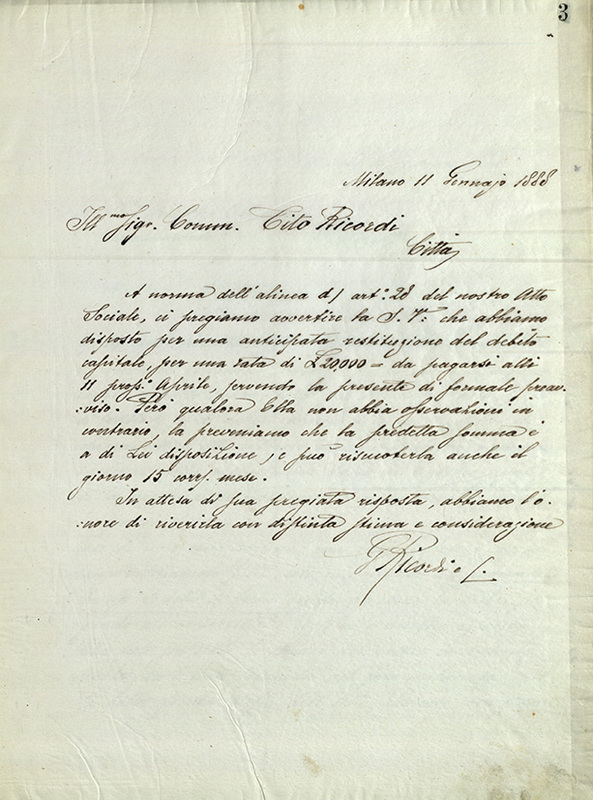 Giulio Ricordi became general manager of the new company G. Ricordi & C. in 1888, when after the death of his father Ricordi merged with the music publishing house founded by Francesco Lucca. 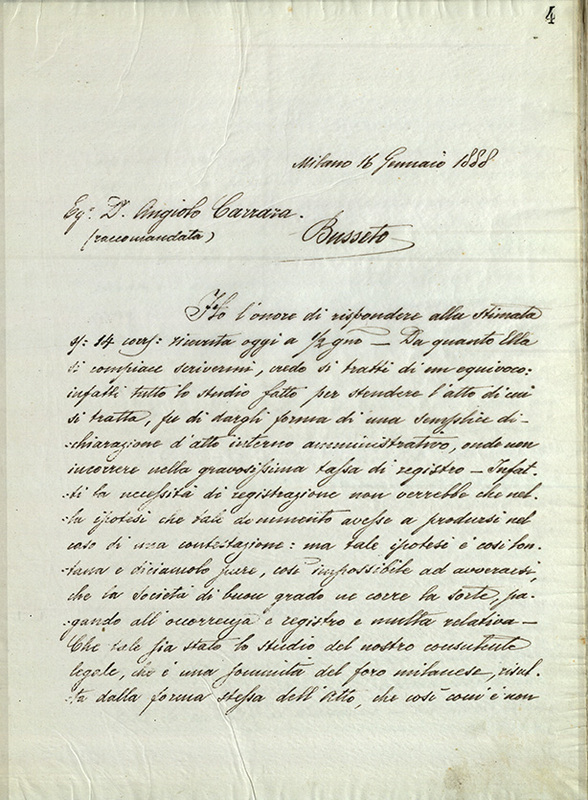 When in 1912 Giulio died, his son Tito II became general manager until his resignation in 1919. 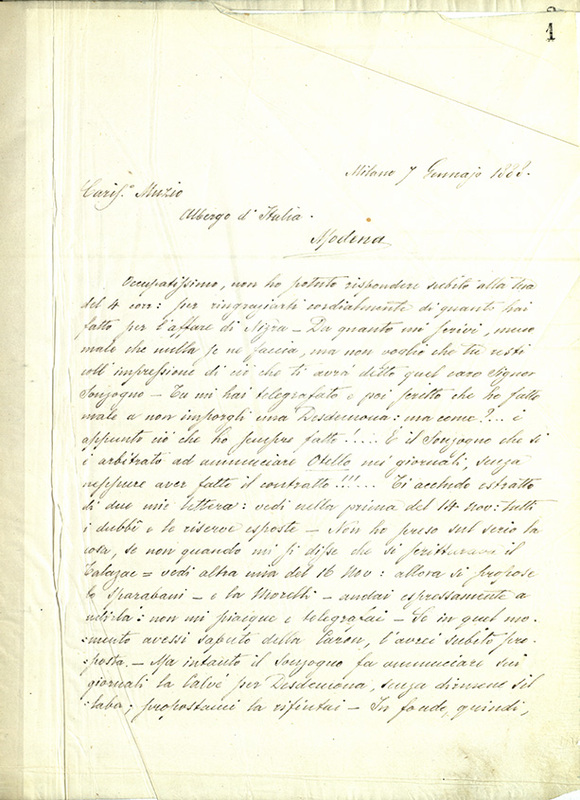 The three copybooks of their “private” correspondence, which they generated as general managers and presumably kept separately in their office, cover this entire period. 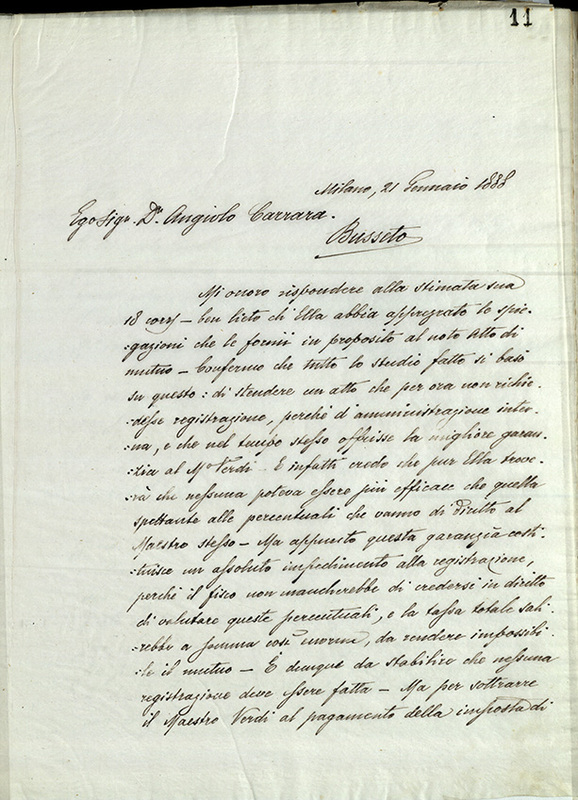 Giulio’s two copybooks – from 1888 until 1909 – consist of 280 hand-written missives for a total of 590 pages. 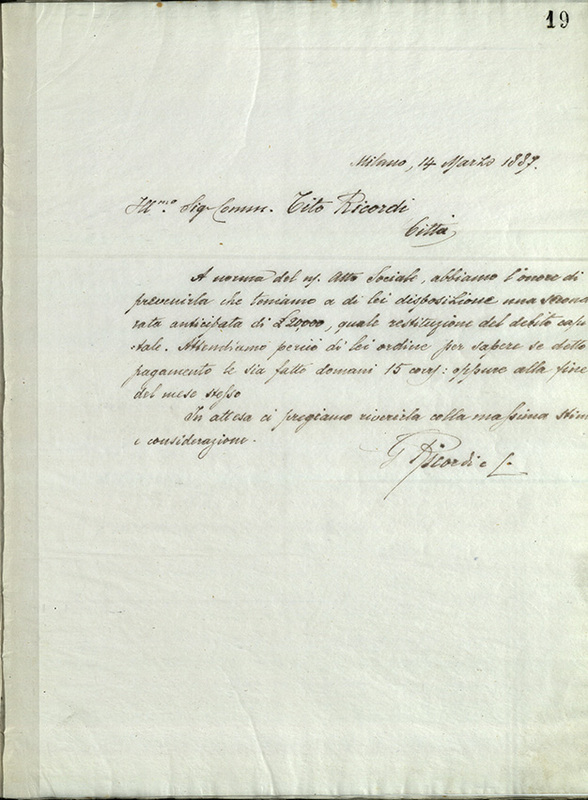 Tito’s only copybook – from June 1912 until 1918 – consists of 186 letters, totaling 277 handwritten or typeset letters. 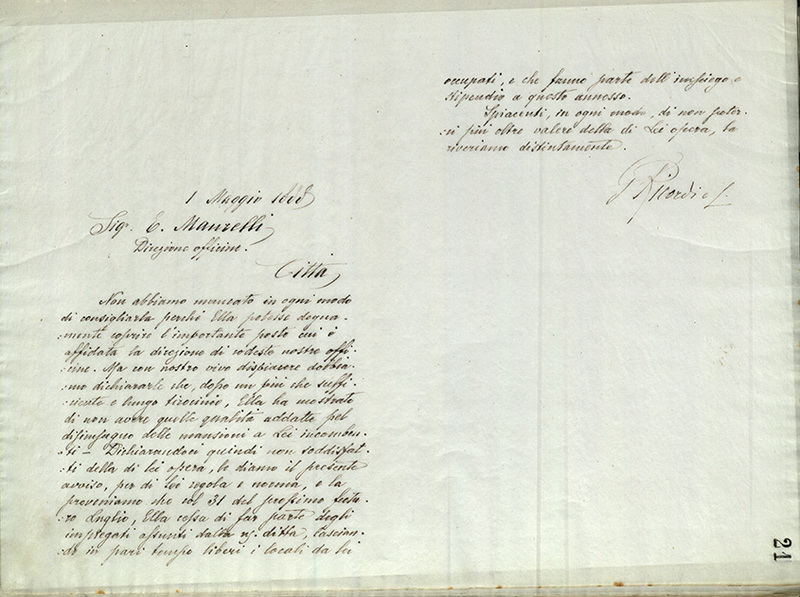 All these documents have been digitised, transcribed, and annotated. 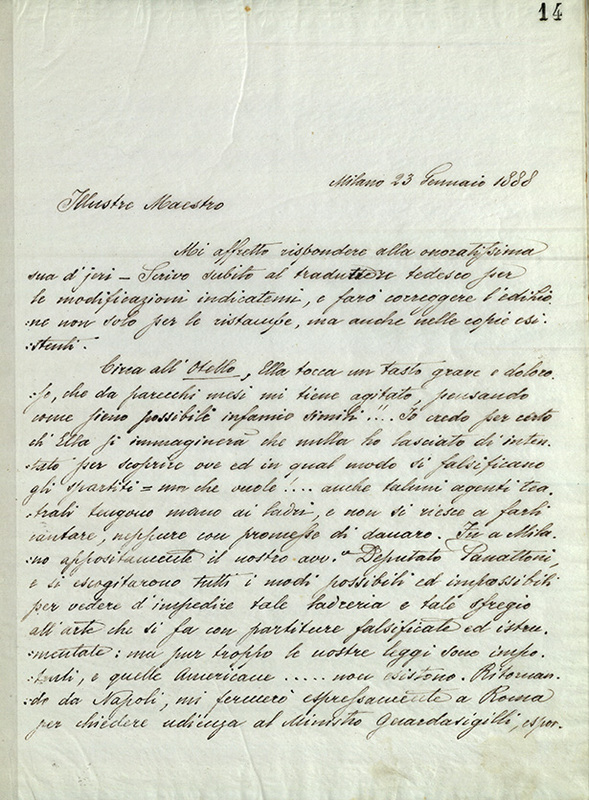 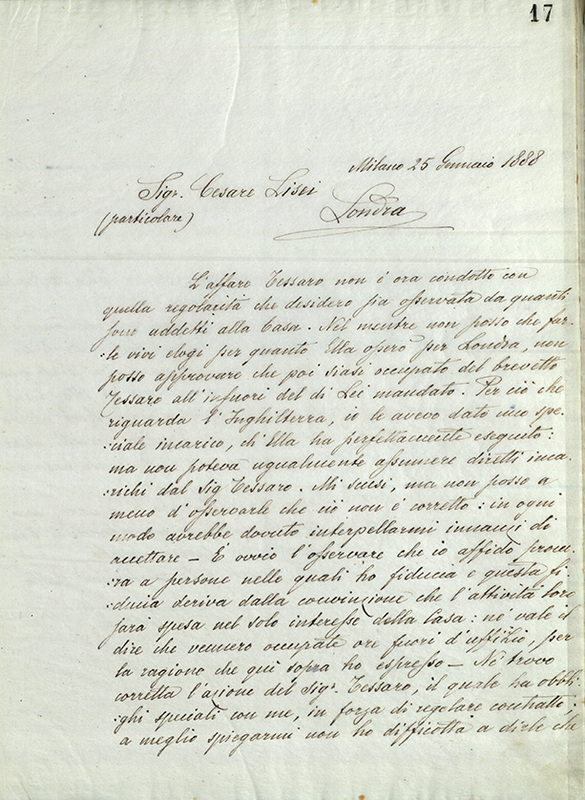 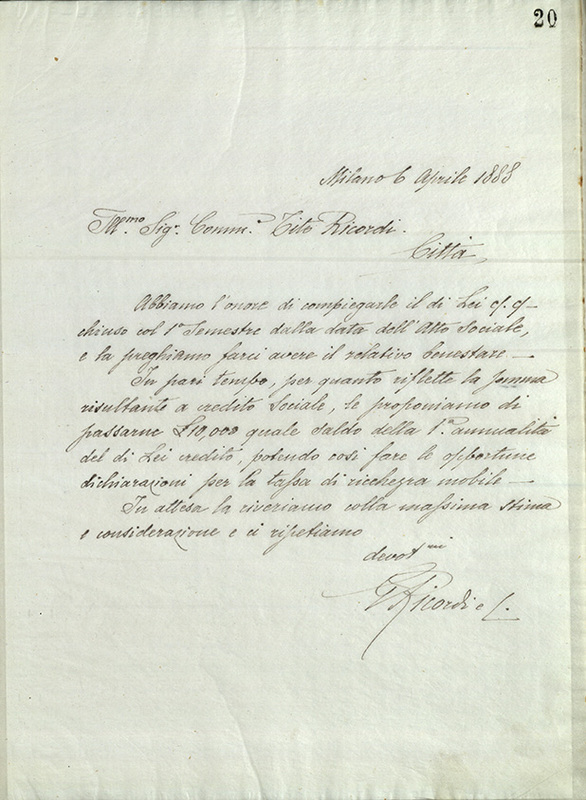 Giulio’s letters have also been translated into English.